An ever-changing mix of new music, songs, sounds and visual arts is finally yours. FLUX by belew is the newest way to experience music that comes at you in quick, surprising pieces that never plays the same way twice. 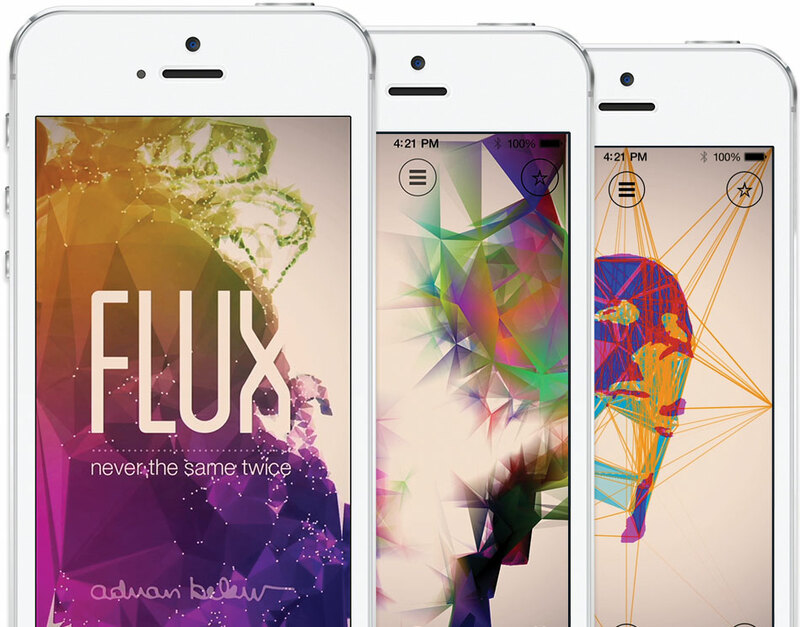 FLUX by belew represents the new era of music, and is waiting to be explored on your iPhone or iPad. FLUX by belew taps into what we love about the internet and social media; it is quick, random and continuously surprising. You’re never quite sure what you’ll get next. Some songs will be short, combined with long tracks that have been cut up and combined with snippets of new, interesting guitar moments and effects. These are then randomized and assembled into a creative track, unique to your ears every single time. You can save your favorites and continue to explore FLUX by belew. Belew imagined, created and recorded several hundred different effects, tracks and sonic clips within FLUX by belew. Developed in Amsterdam by MOBGEN, at its core, FLUX is an engine. It links hundreds of musical tracks, audio snippets and art into a visual language that conveys Adrian Belew, his ideas and his avant-garde style into an intriguing app. Through a roulette of digital algorithms, FLUX by belew offers an infinite number of musical combinations to discover. 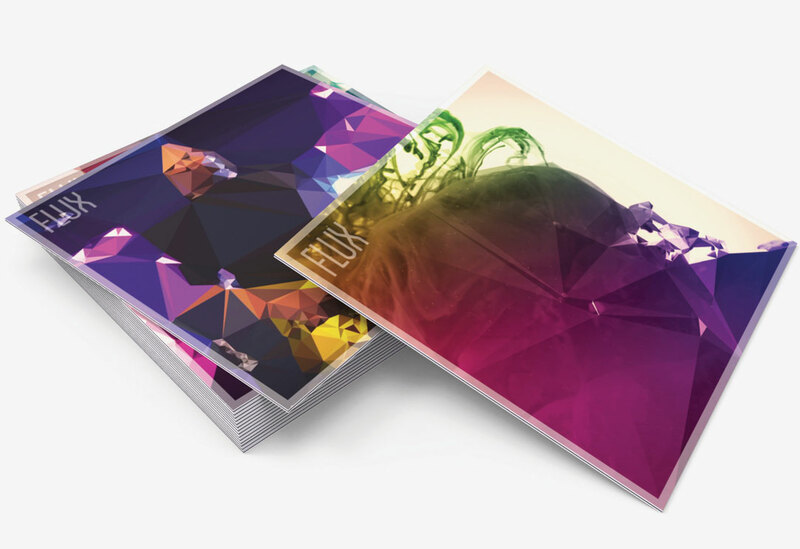 Get Exclusive Access to FLUX. 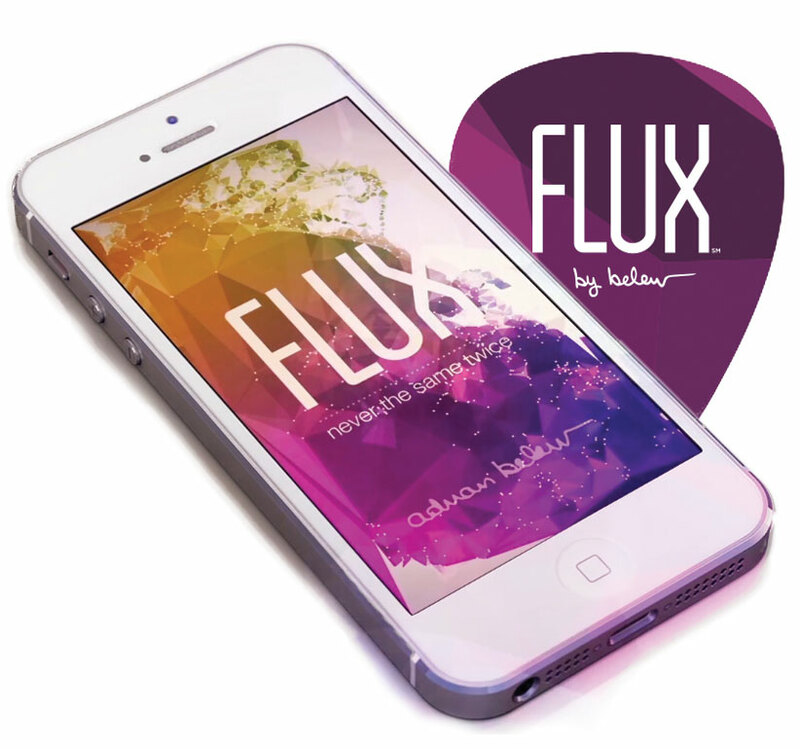 If you are an agent for change like Adrian Belew, download the FLUX by belew app to break away from the mundane and experience the future of music. FLUX by belew leaves us with striking compositions and images that make up an incredibly unique experience, and is never the same twice. "Adrian Belew is always pushing the boundaries of his craft. One of the best and most exciting musicians I've ever seen and heard! I want to FLUX my whole collection of music!" "Five minutes in and it's the most diverse, engaging, and interesting experience I've ever had." "The flow is amazing, the snippet timings are unexpected but impeccable, the variation is exciting. I can't wait for more!" "Adrian Belew is one of the most innovative artists ever to to grace the ranks of pop music. He reinvents the listening experience with this great app. It's effectively an album's worth of music every time you play it - worth every penny. Pick it up and tell your friends!" "What are you waiting for? Own FLUX by belew for yourself now." Adrian Belew is a multi-instrumentalist, singer, songwriter, producer and guitar guru. Belew has released 20 critically acclaimed solo records and was the frontman, singer, co-writer and guitarist for progressive rock powerhouse King Crimson for 30 years. He also played alongside musicians such as David Bowie, Frank Zappa, Paul Simon, Nine Inch Nails, Tom Tom Club and Talking Heads. Known for his inventive guitar sounds, Belew has begun mixing his unique sound, complex time signatures, witty lyrics, wild sound and technical mastery into his new creation, FLUX by belew. For more information about Adrian Belew, his talents and his availability, visit AdrianBelew.net or email info@FLUXbybelew.com. © 2019 FLUX by belew™. With FLUX be belew, you will instantly receive hundreds of songs, pieces of music, sonic snippets and engaging visuals that will change randomly each time you press play. Adrian Belew regularly adds new tracks, evolving your listening and visual experience. Already love your FLUX by belew? Please rate and share your experience! If you have suggestions or questions about the FLUX by belew app, please email us at support+flux@mobgen.com and we will get back to you.